After a period of time as a fitness entrepreneur, once you’ve started to meet certain milestones along the path to your business goals, you start looking for the ‘next step’. You may have the foundational pieces to running your fitness business, leading your team and moving closer to your vision in place. This is a tipping point for you as an an entrepreneur! And there’s one very distinct characteristic that determines which path you will take. At this point, you simply don’t know what you don’t know. There’s information out there that requires experience or mentorship to discover. There are problems (and solutions) that you have never explored. There are opportunities that you can’t see. There are some entrepreneurs that realize this and to satisfy their insatiable curiosity go looking for answers. They have a strong desire to find out what they don’t know and learn how it can make them better. Entrepreneurs, actually let’s call them business owners, that would rather not know. There are many reasons that someone may not want to learn what else is out there including fear, lack of ambition, intimidation, etc. They would rather bury their head in sand and avoid learning than take on the challenge of pursuing their growth. The path that you take, either exploring ‘what’s next’ or being content with where you are will determine if you reach your full potential. Every successful business owner needs a support system. The path to reach your full potential, both with your business and as an individual requires support. That support must have 3 very specific components. Most entrepreneurs aren’t ready for all three components at the same time, and it’s very important that the components be added in the right order with a purpose. Direct input from your Success Coach as an objective expert to help you stay focused on your vision, maintain alignment within your business and focus on your priorities. A large community of peers that share ideas, provide support and allow for ideation to occur. A small group of like-minded peers who have a more intimate understanding of your business, and quite possibly you, that allows them to challenge you, motivate you, inspire you, and help you recognize what your ‘next level’ is and how to reach it. For the fitness business owners within the Fitness Revolution, who are implementing the Fitness Business Alignment System™ and getting the benefit of the entire community, many reach the point where it’s time for them to start feeding off of that third layer of support – the smaller, more intimate peer group. When you are ready, the third component, the small group of peers that you can lean on, that understand you and that allow you to be completely transparent and honest with your business and life struggles and successes will help you see what the next level is and drive you to it. Many entrepreneurs feel they have a bigger purpose than simply running a great business. It may be to give back to the community, explore new ventures or simply a need to be around other high performers that can help you find out what it is you’re going to work towards next. The challenge is finding a group of peers that will challenge and inspire you to find and pursue that purpose! We’ve seen and understood the importance of high level peer engagement. We’ve been running ‘mastermind’ groups for nearly a decade. But running a truly high performing group takes more than just a high price tag, a conference room, and someone eager to come up with the most answers on the spot. Nearly two years ago we closed our mastermind program and began overhauling it so that we could help high level peers find each other and organize groups that allow high level entrepreneurs to find their purpose and move closer to reaching their potential. We re-released it in 2016 as the High Performance Coaching Program and are now accepting applications for new members and filling new groups. This group is limited to extremely high performers in the fitness industry. Not only will you need to be at the top of your game but you will need to commit to the program completely. If you meet all of those criteria you are allowed to begin the application process to determine if you are a good fit for a current group and meet all of the requirements expected of you from the FR High Performance Mastermind Chairman. As a member of the Fitness Revolution High Performance Mastermind you will be required to invest time, money and energy. Your minimum commitment to join the group is 12 months. This isn’t one of those masterminds where you can simply pay to attend one meeting, get a few ideas and then go about your business. During your 12-month initial commitment you will be expected to attend four (4) live quarterly meetings. All travel expenses are your responsibility. An investment of $5,399 or $499/mo will also be required for this program. The most successful and powerful people in the world leverage peers and mastermind groups in some ‘advisory’ capacity. But, not all masterminds are created equal. In fact, anyone can create a group and call it a mastermind. If you look at Napoleon Hill’s definition of a mastermind you may get a better understanding of why this group is different. Most ‘masterminds’ that exist are full of self serving individuals that simply wish to take ideas. It’s nearly impossible to create the perfect harmony required for a great mastermind without something to unify the group. 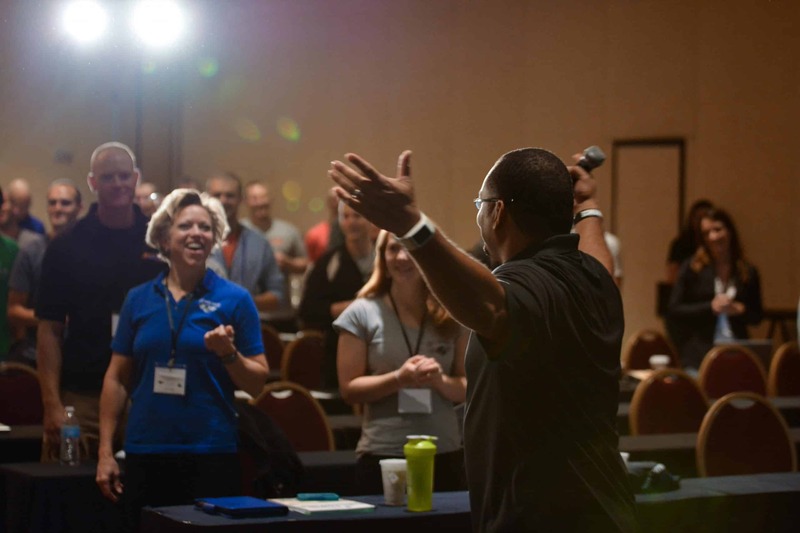 With the FR High Performance Mastermind the Fitness Business Alignment System helps each of the members fully understand the purpose and vision for each member. And it is essential that each member of the group have a strong desire to help their peers reach their vision. The Fitness Business Alignment System creates a very specific formula for success. This formula, when applied by the fitness business owner produces high performing fitness businesses. It’s no accident and coincidence that the individuals that find themselves in this elite group are high performers! Again, this about more than running a successful business, it’s about winning at life and finding a level of fulfillment that’s been missing for you. High Performers have a need, a burning desire to be surrounded by others that will motivate and inspire them to further greatness. This group can fill that need. If you are a fitness professional looking for a like-minded peer group (and meet the above criteria) simply apply through the link below. A team member from FR Nation will be in touch with you within 1 business day.